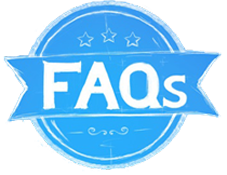 We are dedicated to top quality patient care. Dentistry for the Entire Family is a proud recipient of the Spectrum Award for Service Excellence presented by City Beat News in 2016, 2017, 2018 and again in 2019. Delivering exceptional service to our patients and their families is our top priority. We are honored to be recognized with this award. Our patients leave happy, healthy and with the most beautiful smiles. 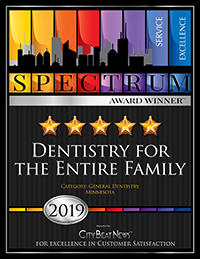 DENTISTRY FOR THE ENTIRE FAMILY in FRIDLEY, MN has won the 2019 Spectrum Award for excellence in customer service and earned a rating of 5 out of 5 stars. This coveted service award was presented to DENTISTRY FOR THE ENTIRE FAMILY by City Beat News.